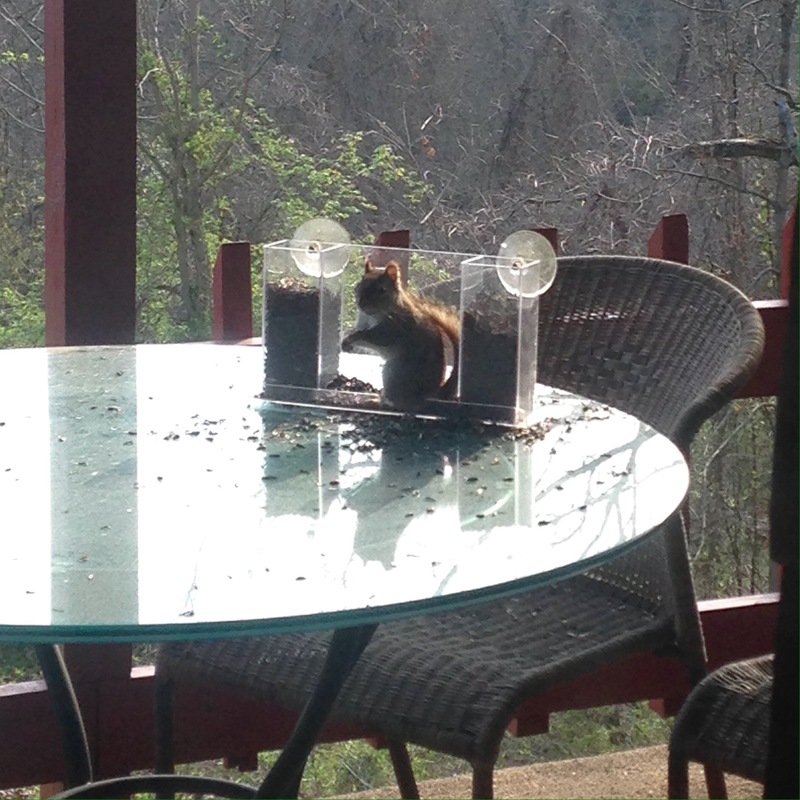 Our bird feeder sat on the porch table all winter long, filled with sunflower seeds, untouched by any flying, hopping, or scurrying creatures. It isn’t that we don’t have flying, hopping, or scurrying creatures: we’ve had flocks of Bluebirds in January, and a mischief of mice invaded our kitchen; herds of deer decimate our gardens; a labor of moles have invaded our lush lawn (that’s a joke, folks); last year a chorus of cicadas denuded our trees; a loveliness of ladybugs live on the west side of the house all autumn; and right now we’re battling a colony of ants. Yes, I’ve written about critters before. So where were the birds this winter? My best guess is that since we had very little snow, they weren’t starving and didn’t visit out feeder. But a week ago we had (what we hope was) the last snow of spring. 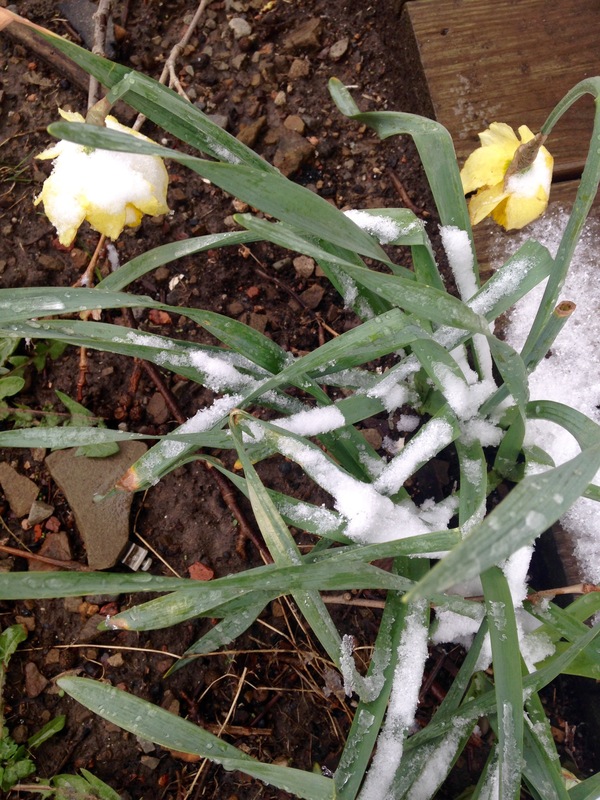 Snow dusted the ground, the daffodils, and tree branches. 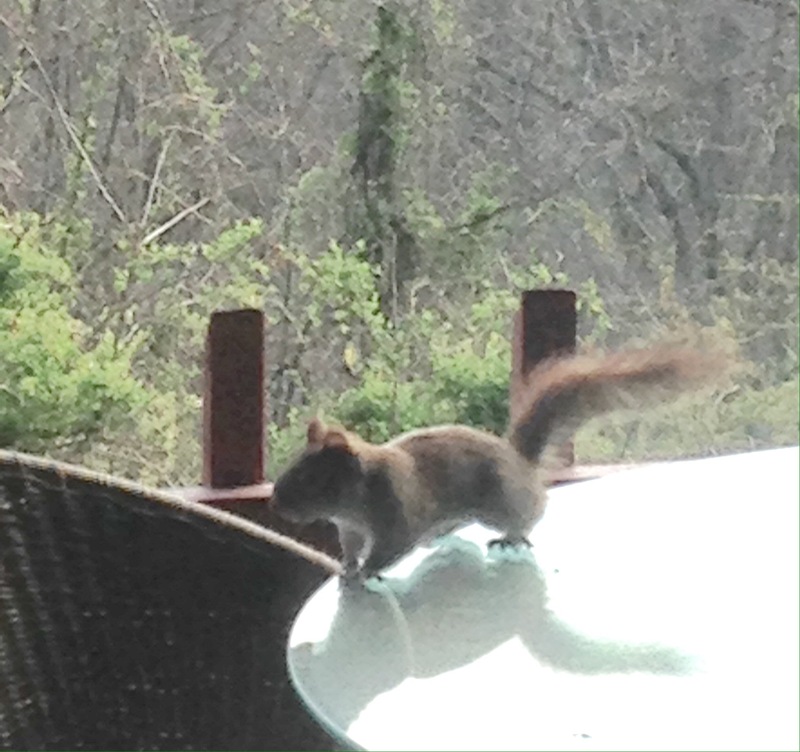 And a little visitor found our bird feeder. I didn’t get a picture of him that day; he was skitter-ish, but he discovered that the attack cat is fat and lazy, and his true bravery emerged. Plus he likes sunflower seeds. I’m not concerned about a solitary squirrel, but I certainly don’t want a drey of squirrels nesting on the porch this spring or a scurry of squirrels stealing our walnuts this fall. Just for your information, if you find yourself with an invasion of chipmunks, Larry has a surefire way of getting rid of them! It isn’t humane, and I really don’t even like to think about it, but it works!! I’ll take your squirrels over our groundhogs!